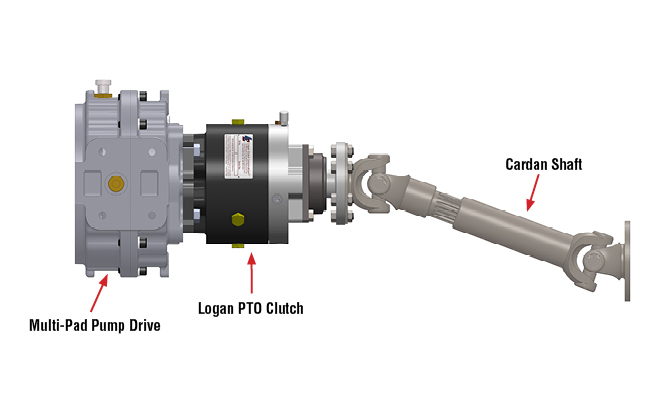 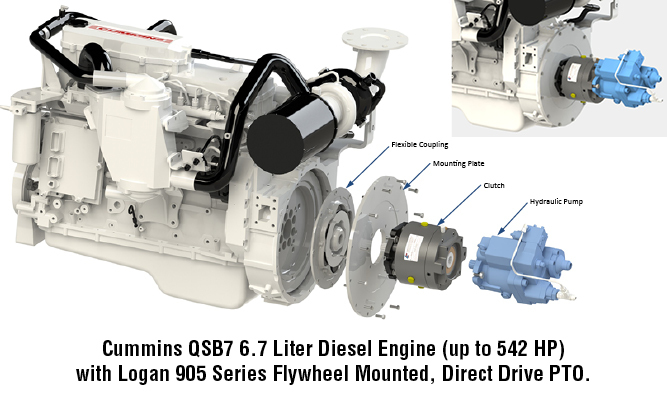 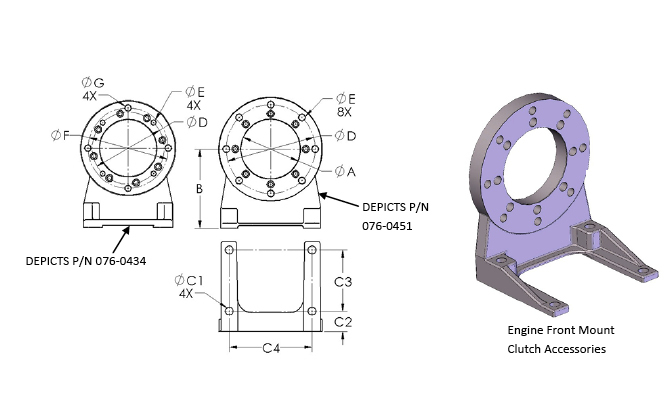 The PTO clutch is directly mounted to the power source via the SAE standard flange. 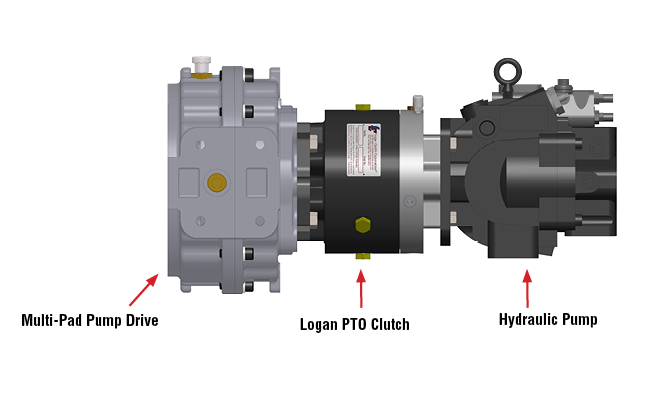 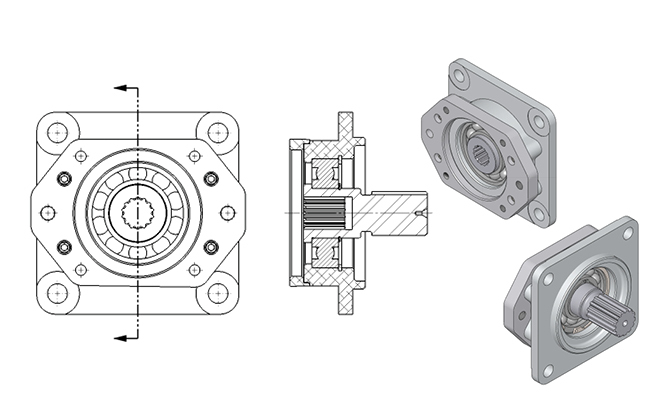 The auxiliary pump mounts directly to the output of clutch, utilizing the same SAE standard flange. 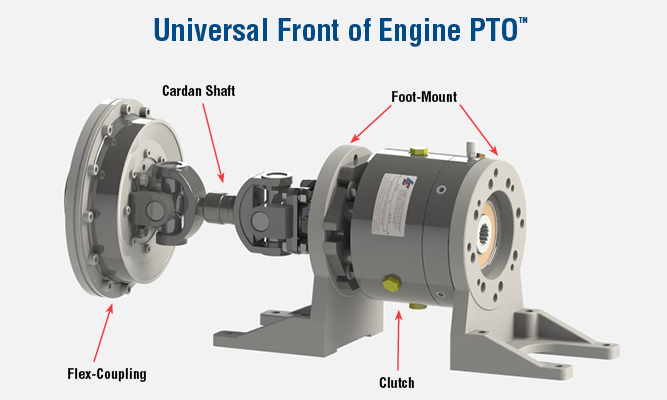 Overhung load adapter mounts to the output of the PTO Clutch assembly and allows for moderate side load induced by a cardon shaft. 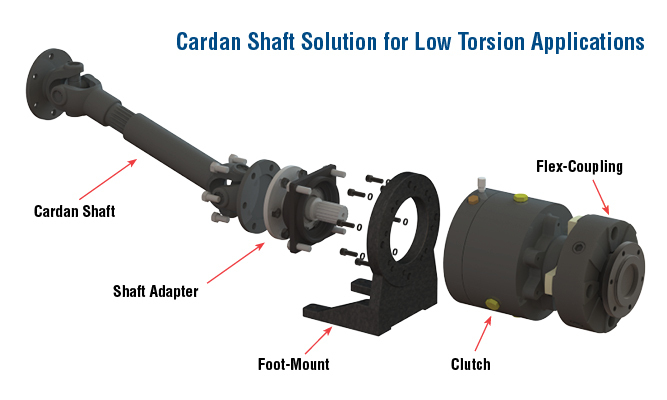 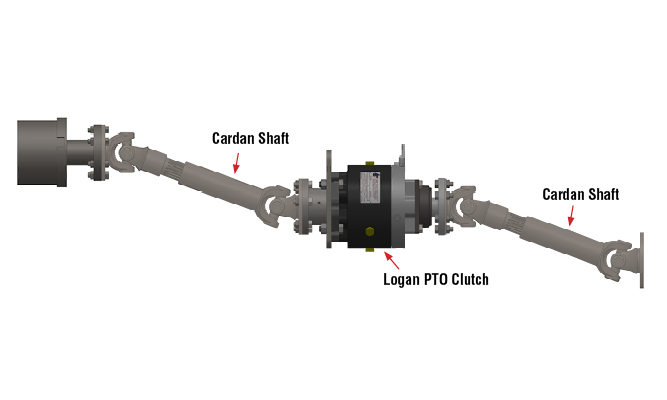 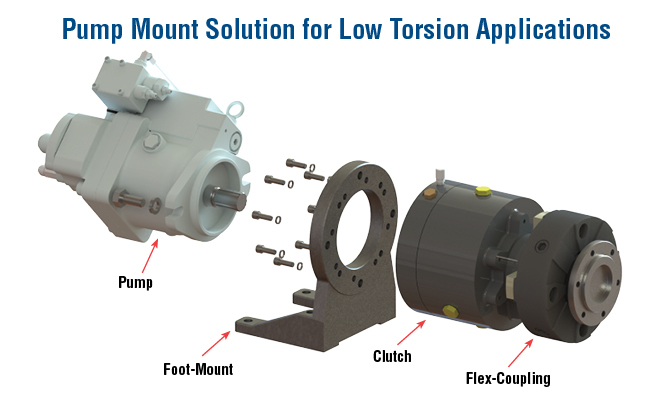 Utilizing the Logan 405 Series companion flange adapters, the remotely mounted PTO clutch input interfaces with a standard Spicer-type flange on a sliding joint cardon shaft. 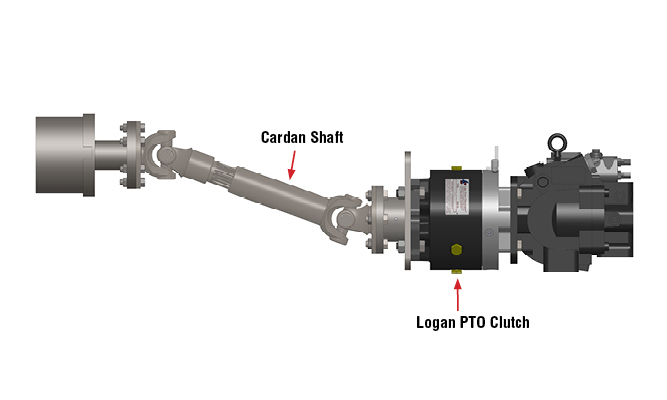 Cardan shafts mounted to both sides of the PTO clutch utilizing a 405 Companion Flange on the input and 402 Overhung Load Adapter on the output.